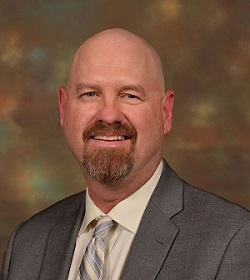 PHOENIX — The Arizona Game and Fish Commission has appointed Ty Gray as director of the Arizona Game and Fish Department. The appointment came in a unanimous 5-0 vote at the commission’s June 11 meeting. Gray began his career with the department as a research biologist in 1993 and worked his way up through the ranks. He has a unique familiarity and perspective on department issues and operations, having also served as urban fishing program specialist, a regional fish program specialist, human dimensions coordinator, field operations coordinator, fisheries branch chief, education branch chief, assistant director (Information/Education/Recreation Division), and deputy director, a position he has held since March 2013. Gray will lead an agency that employs more than 600 people and is funded at more than $120 million per year, primarily from the sale of hunting and fishing licenses, a federal excise tax on hunting and fishing gear, and several other sources such as the Heritage Fund (lottery proceeds), Wildlife Conservation Fund (tribal gaming revenue), watercraft licensing, OHV decals, and state wildlife grants. The agency does not receive Arizona general fund tax dollars. Gray holds a Bachelor of Science in Fisheries and Wildlife Resource Management from the University of Nebraska. The Arizona Game and Fish Department director is appointed by the Arizona Game and Fish Commission, a five-member citizen board that sets policy and has broad oversight of the department. The director serves as the department’s chief administrative officer and is responsible for the general supervision and control of all activities, functions and employees of the department.